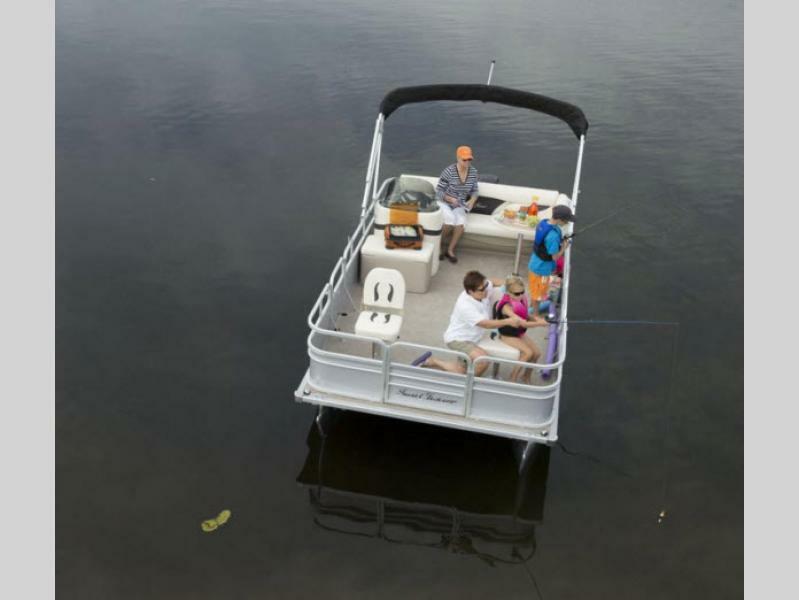 When you need a day away from the cares of life then head on out to your favorite lake with an Oasis Fish pontoon by SunChaser! 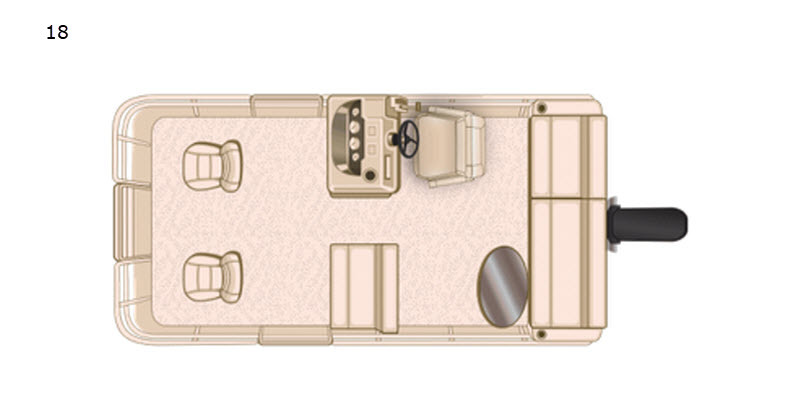 These models feature a variety of floor plan styles depending upon your needs. 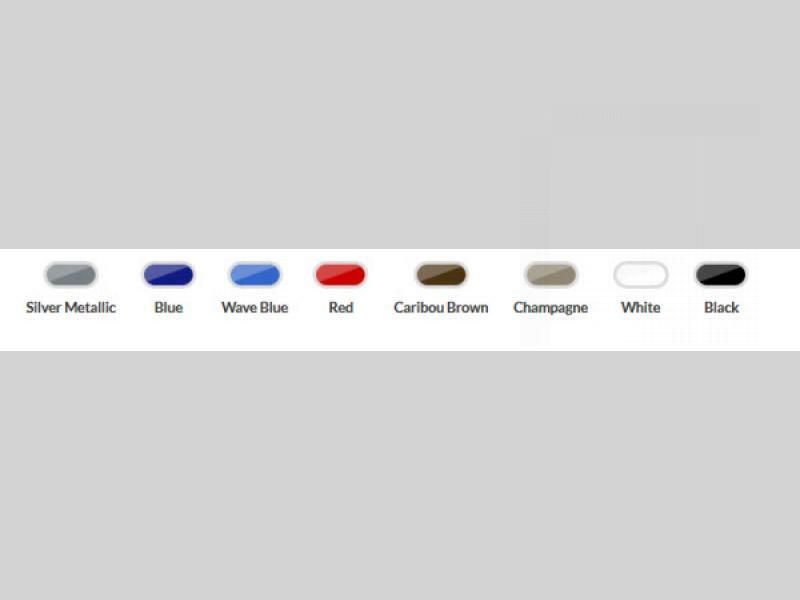 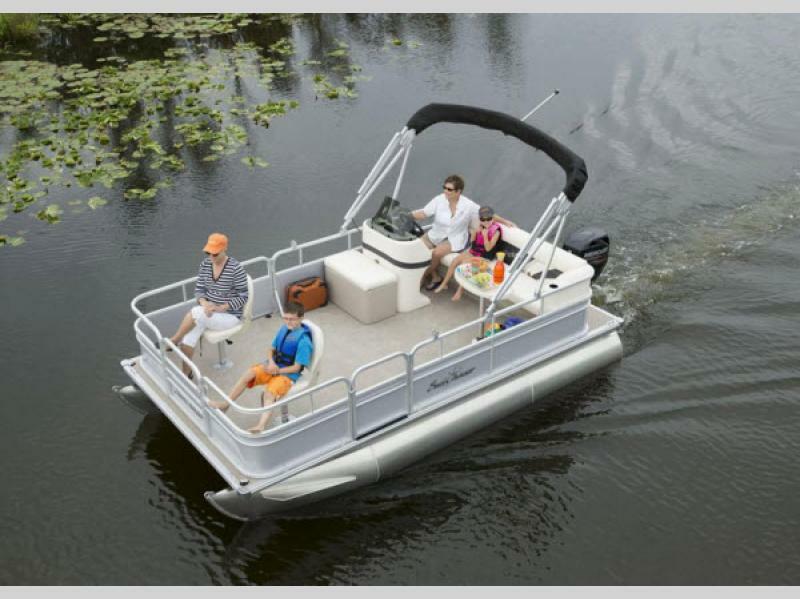 After you select the floor plan that best suits you, then choose one of eight exterior colors for your pontoon. 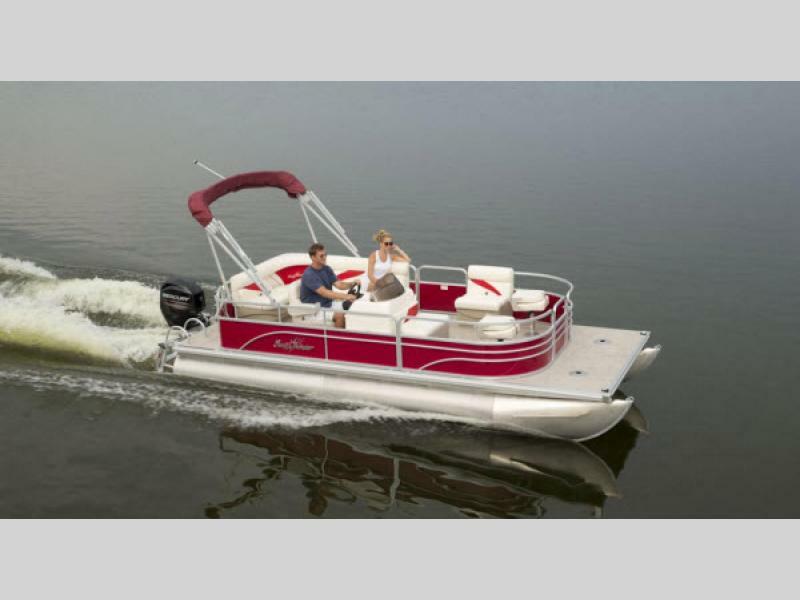 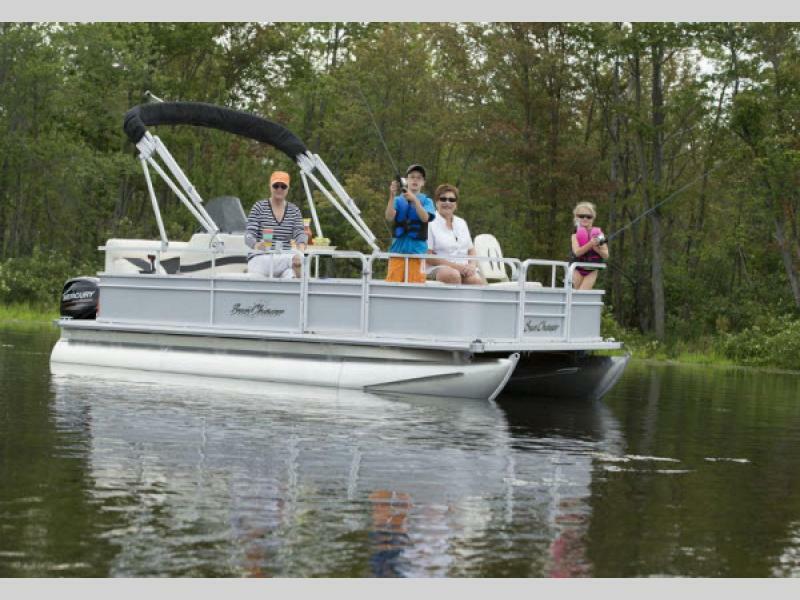 A few optional features include a Torcello steering wheel, a trolling motor so you can fish in shallow water, a PRV19 Millenia AM/FM Stereo with Bluetooth, a playpen cover and so much more! 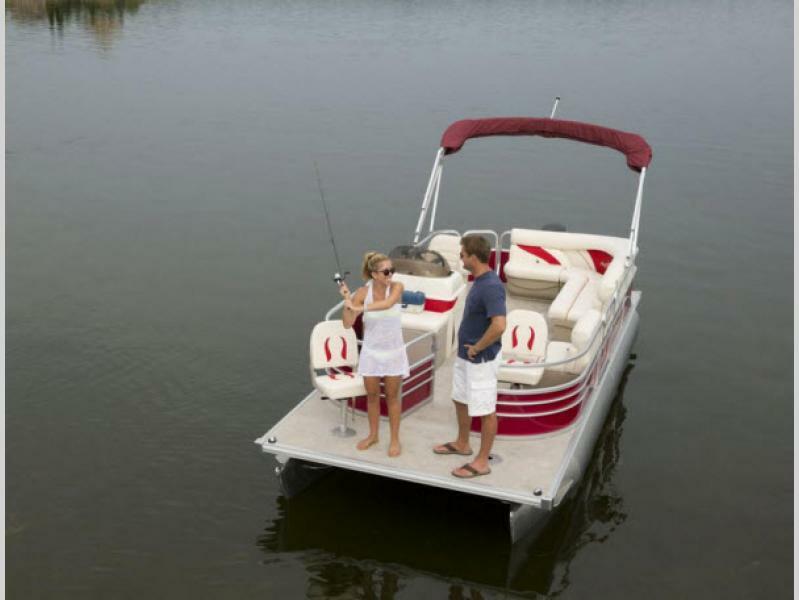 Come start your next day on the water with an Oasis Fish! 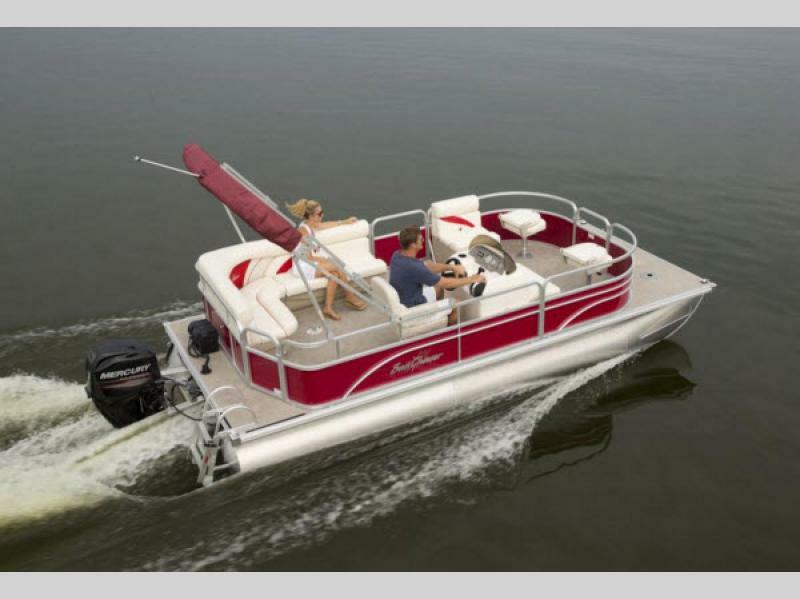 The better the value, the bigger the fun! 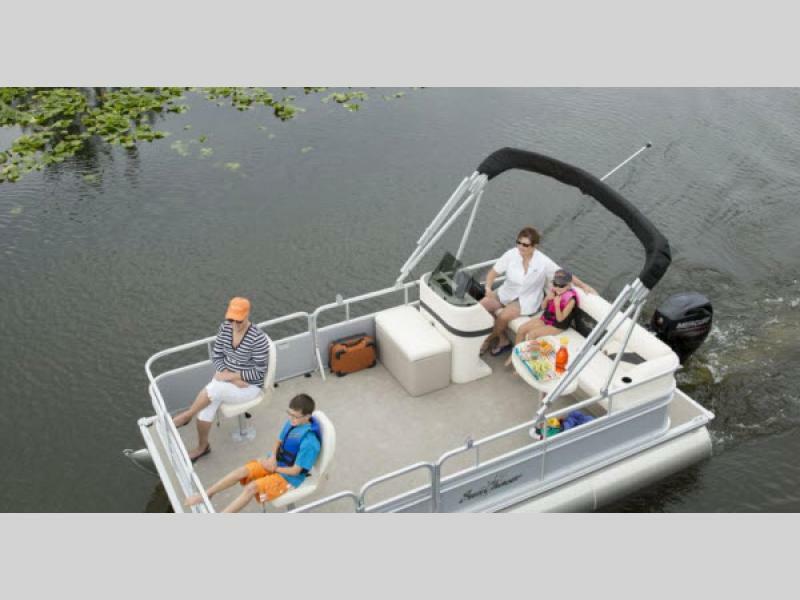 Is your family ready for great times on the water? 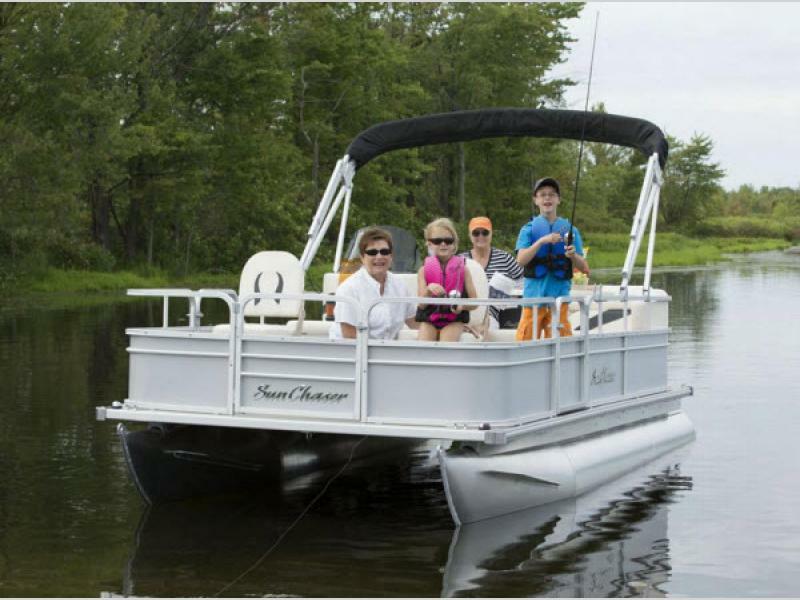 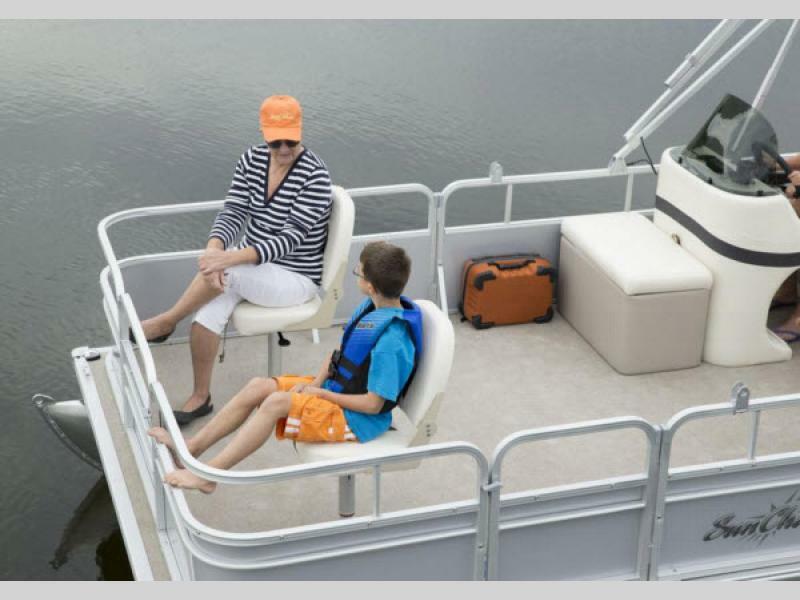 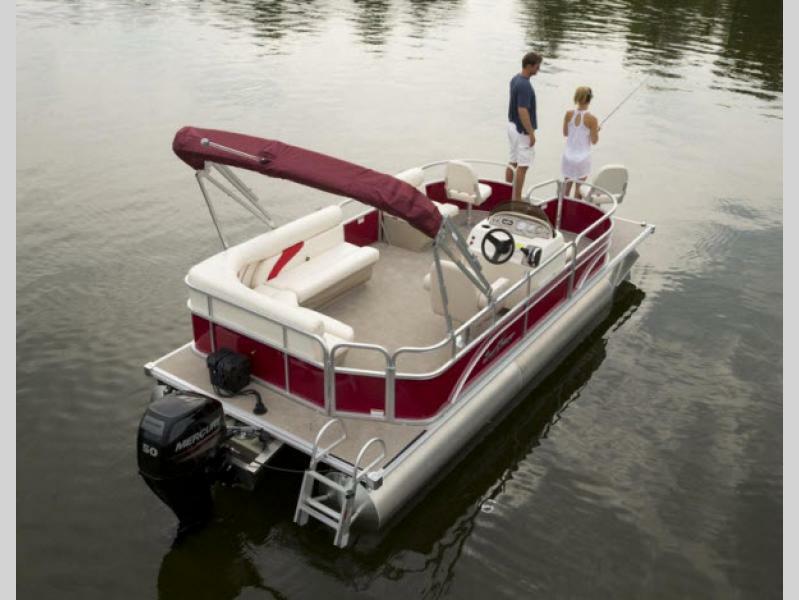 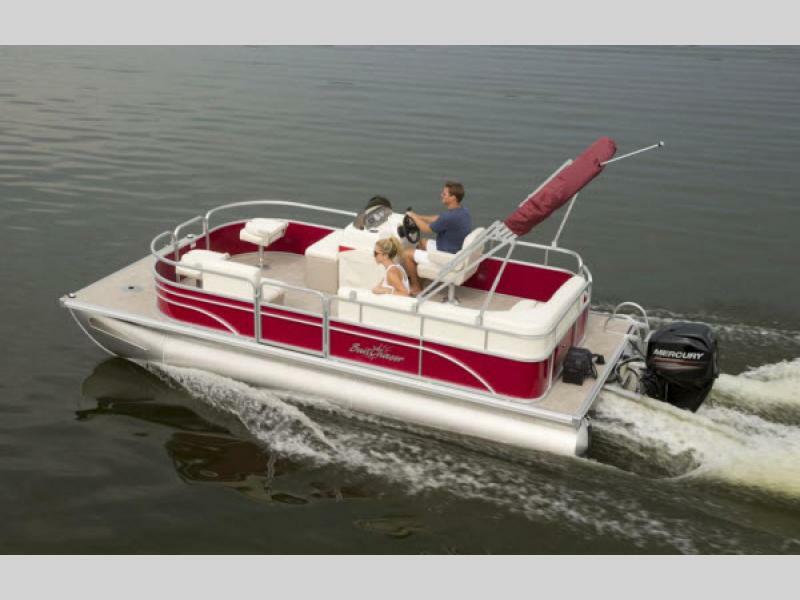 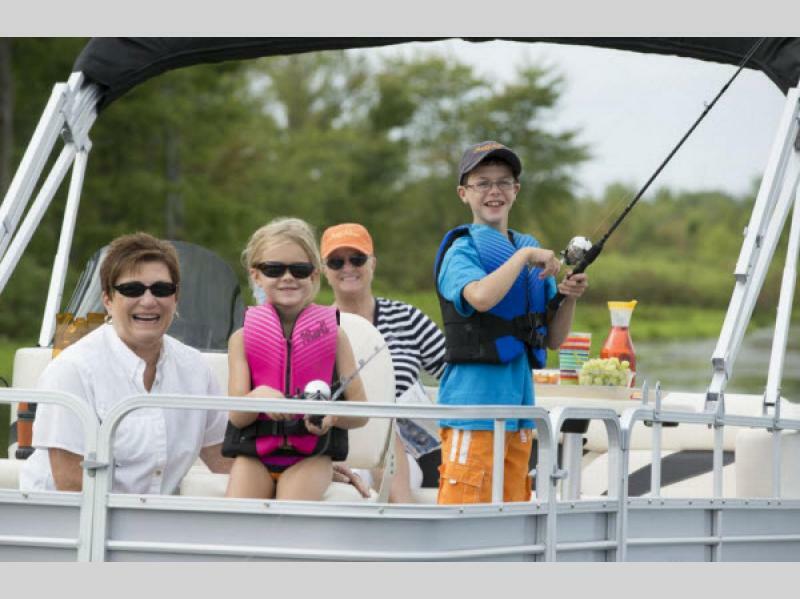 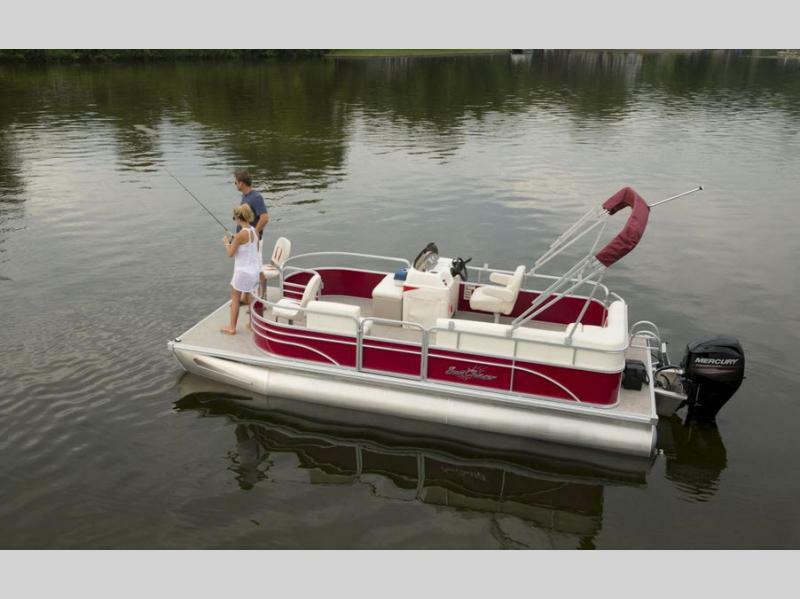 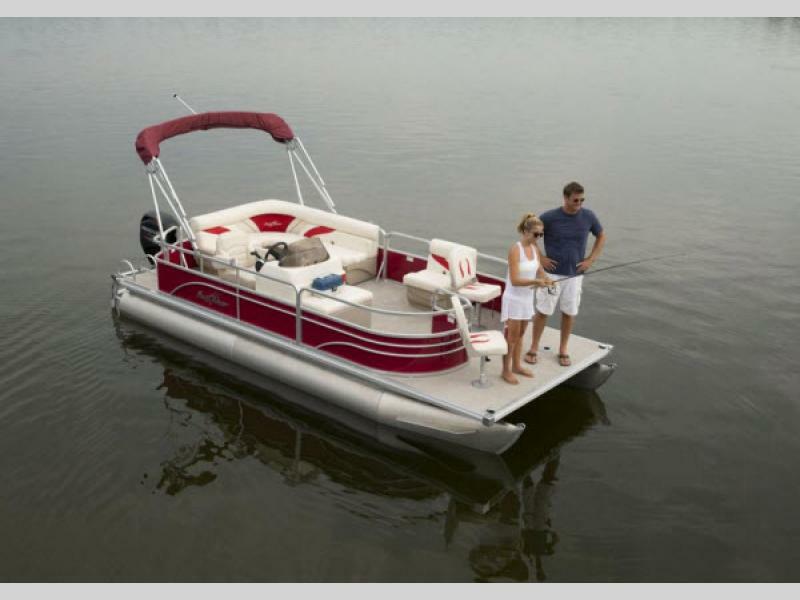 There’s no easier way to enjoy cruising, fishing, swimming and all-day fun than on a SunChaser pontoon. 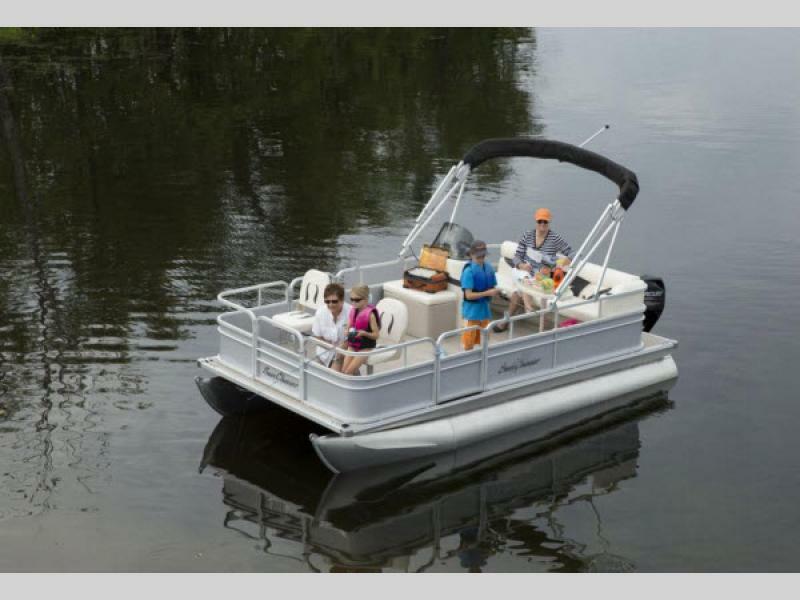 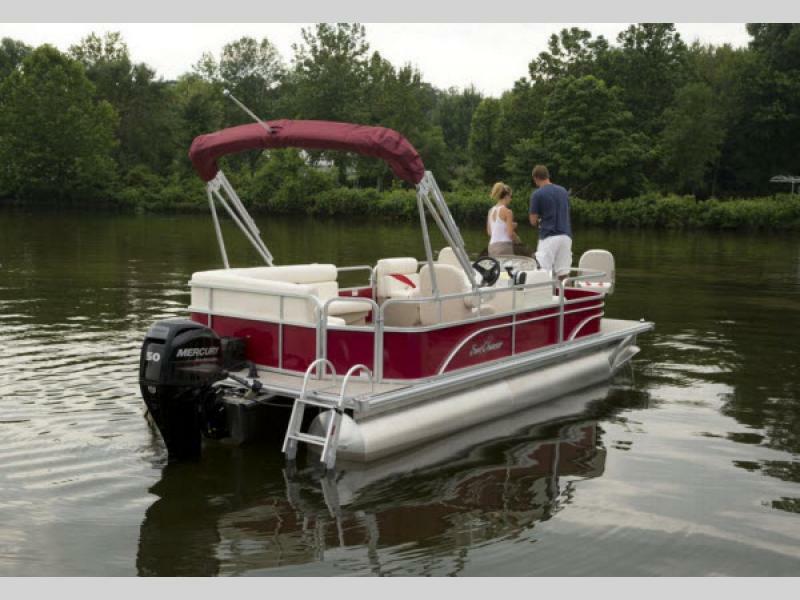 SunChaser pontoons are not only remarkably affordable, they also offer great features, reliable construction and impressive warranties. 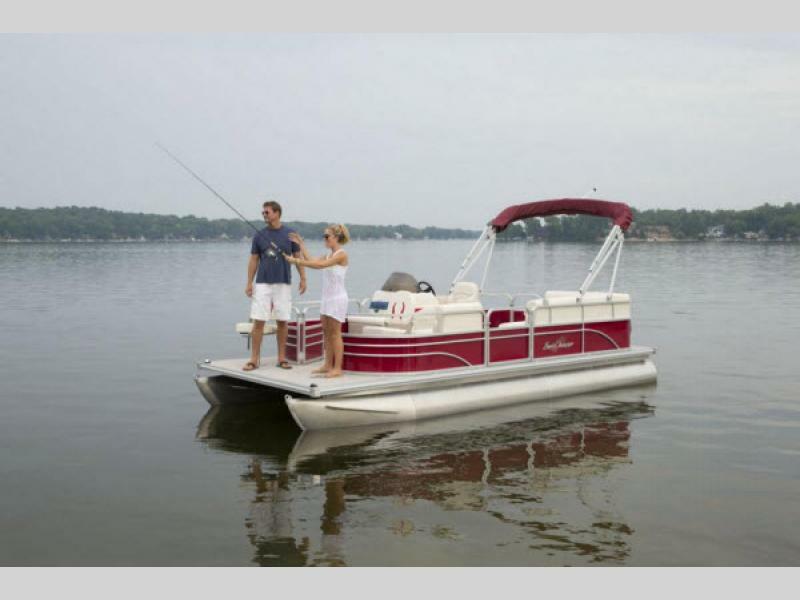 And, they are part of the legendary Smoker Craft family of boats. 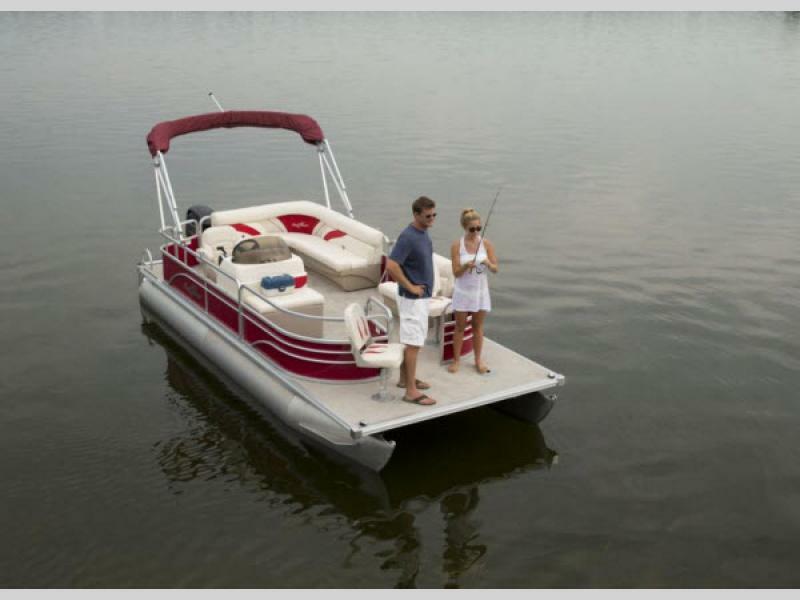 We encourage you to take a look at just a few of the details that add up to the best value on the water. 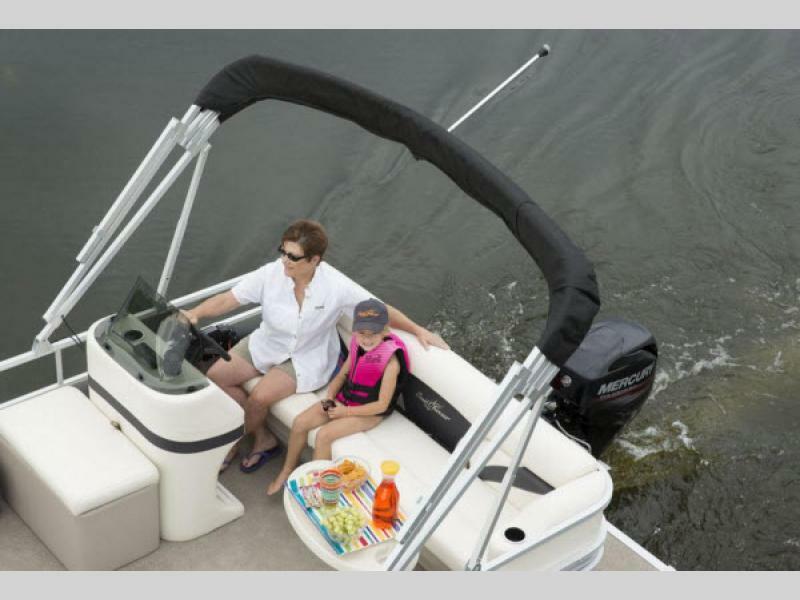 Sunchaser's hat-channel construction begins with up to .250 gauge aluminum hat chase with a 5.8” span, secured with eight bolts. 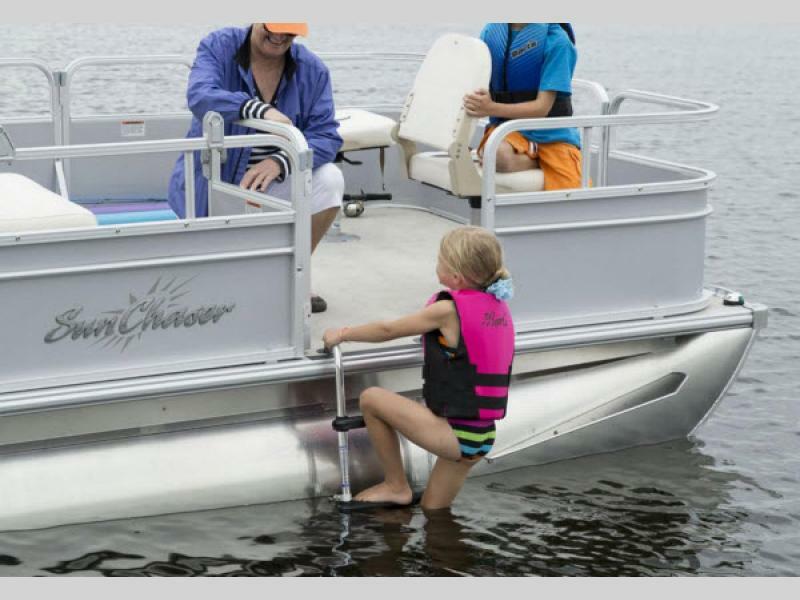 Combine that with a .190 gauge aluminum transom that’s through-bolted with up to 20 bolts and footed deck risers to prevent tube fatigue, and you see why Sunchaser backs its industry-leading construction with a Limited Lifetime Warranty on every product.